Dr. Lisa DiNatale, D.C., was introduced to chiropractic when she received relief from neck, back and arm pain associated with an automobile accident in 1974. Dr. Lisa as she is known among her patients, specializes in a variety of techniques to treat patients of every age and walk of life. She uses hands-on techniques called Diversified Adjustments, Craniosacral, Drop Table. Dr. DiNatale also uses various soft tissue therapies to alleviate muscle spasms and pain and to insure that the injuries heal properly and with the best motion possible. Dr. Lisa has been a licensed Massage Therapist in Hawaii since 1980. Dr. DiNatale went to Life Chiropractic West and received her Doctor of Chiropractic Degree in 1991. 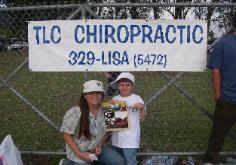 As a licensed Doctor of Chiropractic since 1991, Dr. Lisa has been practicing here in Hawaii since 1995. Dr. Lisa works with her patients on using proper body mechanics throughout the day: workstation design and set-up (Ergonomics), lifting skills and sleep position. Each patient also receives an individualized stretching and exercise program tailored to their body’s needs and abilities. She also makes nutritional recommendations, and has products available for sale. 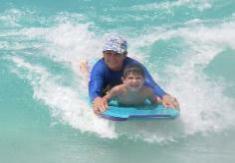 Dr. Lisa DiNatale is licensed to practice chiropractic in Hawaii and in California. She has completed post-graduate professional education in order to stay current with advances in diagnosis and treatment of spinal injuries and problems. She is trained in a variety of chiropractic techniques. She was trained in the Webster technique for pregnant mothers, preparing the body for easier delivery and repositioning the constrained or breech fetus.